Lethargic Hammers attempt to prevent resurgent Foxes claiming their first away league win. It all seems rather shambolic at West Ham at the moment as the season continues on the course of a mostly uninteresting roller-coaster ride. 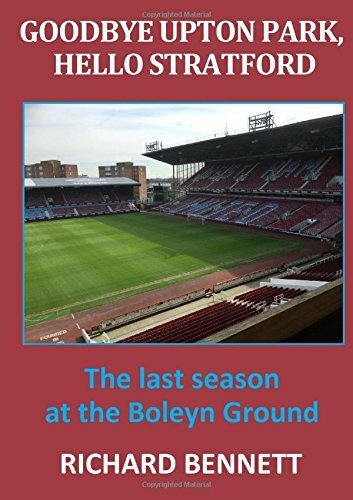 The anticipation of a shiny new stadium was swiftly overshadowed by poor performances on the pitch; a few lucky wins allowed a fortuitous ungainly clamber into mid-table; the saga of the sulking Frenchman dominated the back pages; a post Payet bounce hinted at a mini resurgence before a return to indifference has left the team with just one win from the last six matches. Last week’s shoddy performance left the Chairman calling for improvements, the fans calling for changes, the manager burying his head in the sand and the captain accusing the fans of knowing nothing about football. Now the captain has convinced the manager that he should have a holiday to recover his mojo even though he has just returned from energising warm weather training in Dubai and it is an international break next week. It has become almost as unpredictable and depressing as the other Eastenders. I said after they changed manager what I thought about it and still I don’t understand it. But if you talk about results and performances they got what they wanted. No one can say it was the wrong decision, the three results have been brilliant and the team looks different. Today’s opponents are last season’s surprise champions who were having a shocking season (outside of their Champion’s League campaign) until a change of manager brought a change in fortune and two successive league wins. They are now in the unusual situation of having a Champion’s League quarter final and a relegation battle to look forward to. Maybe the same tactics that surprised the Premier League last term are doing the same in Europe this year. If there is one English team that has not learnt how to combat those tactics who could it be? Leicester have only won 11 of 61 away matches at West Ham. It is a fixture where the Hammers have averaged over 2 goals per game. History suggests a comfortable home win. Leicester have not won an away league game all season and in none of those encounters have they scored the opening goal. However, they have yet to drop a point from a winning position in any league match so far this season. Form suggests a routine home win unless we concede first. Mark Noble’s convenient dead leg injury means he is not available for selection. Physio Room indicates slight doubts for Michail Antonio and Robert Snodgrass but no mention of Andy Carroll who looked so unfit at Bournemouth. Otherwise it is a fully available squad with the exception of Diafra Sakho and that handful of forgotten players reported as missing in action. It will be a brilliant occasion for our supporters and for everyone at the club but, before the players can begin to think about these games, we have Premier League matches to come that are of huge significance to our season. They will be our sole focus. It is a pointless task attempting to second guess what team selection the manager will come up with. One would like to think that Noble’s absence will result in Cheikhou Kouyate moving to central midfield and Sam Byram starting at right back. Jose Fonte against Vardy makes me nervous both from the perspective of pace and reckless penalty area challenges. Andre Ayew (or anybody come to that) in for Sofiane Feghouli would appear to make sense but the final line-up may rest on the fitness of Carroll. Expect Antonio to play in at least two different positions today including the problem wide left midfield role. Leicester never have any injuries and so are likely to be at full strength. Today’s referee is occasional Premier League whistleblower Roger East from Wiltshire. His most recent associations with West Ham were in the two cup replays against Liverpool and Manchester United last season. In a total of 26 matches (all competitions) this season he has awarded 105 Yellow and 3 Red cards. Next Next post: 5 Observations as Hammers are OutFoxed!